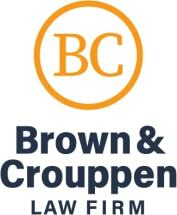 If you live in Saint Charles, Missouri, or anywhere in the surrounding areas, and you suffered an injury or lost a loved one as the result of a workplace accident, a car accident caused by someone else, an act of medical malpractice or any other type of avoidable tragedy resulting from another party's negligence, you owe it to yourself to contact Brown & Crouppen to see how we can help you obtain the justice you deserve. Recognized as the state's "Winningest Plaintiff Law Firm" by Missouri Lawyers Weekly, we have recovered more than $850 million for our clients since we first opened our doors in 1979. During that time, we have also grown to include seven total law offices across Missouri and southern Illinois, and we have earned numerous positive reviews and referrals from those we have served. Quality customer service is the hallmark of our practice, and we promise to do all we can to help support you and your family during your difficult time as we aggressively pursue the most favorable outcome on your behalf. Our law firm's attorneys possess more than 50 years of combined legal experience, and we all work as a team, leveraging our respective strengths to build the strongest cases possible for our clients. To discuss your needs with one of our dedicated attorneys at no cost, you can contact Brown & Crouppen by phone or through our law firm's website to schedule an appointment for a free initial consultation, and we will never require a fee from you unless we win your case. M-F: 8:30 a.m. – 12:00 p.m. (closed 12:00 – 1:00) 1:00 p.m. – 5:00 p.m.